There are 14 posts in this thread, and it has been viewed 11243 times. Kizuna Encounter. What do you think of it? Let's turn our attention to a more popular title this week, a Neo Geo game most aficionados should know because of the value of the legendary EURO/PAL AES cartridge. It is said that only about 12 EURO cartridges were ever made, making it horrendously expensive. 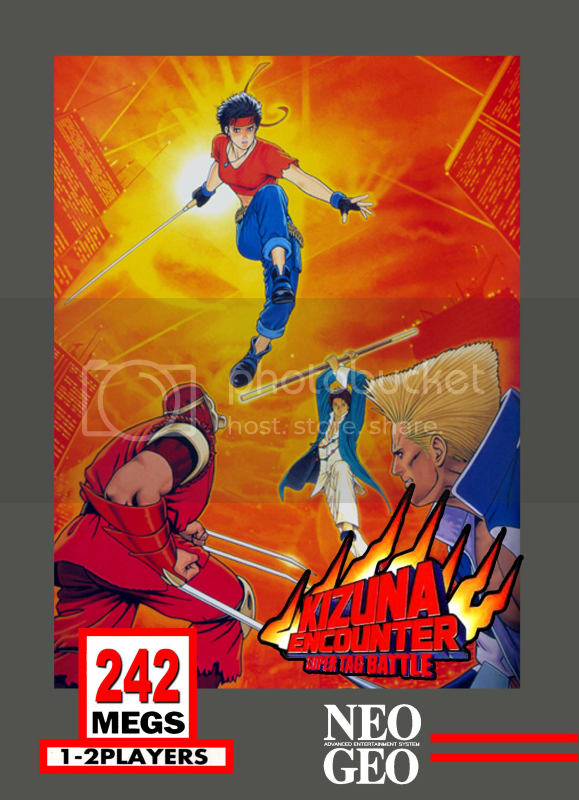 Value estimations among Neo Geo fans range between $15,000 and $25'000, making Kizuna Encounter somehow a holy grail for AES collectors. It's also kinda ironic to see that the Japanese AES version, which is technically absolutely identical, is only worth around $700. 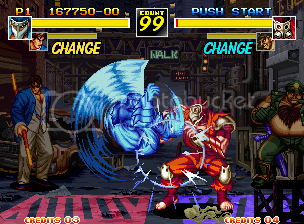 Kizuna Encounter is a 1996 competitive fighting game produced by SNK for the Neo Geo arcade and home platform, it is the direct sequel to Savage Reign. The Kizuna Encounter system is similar to Real Bout system, notable additions include the tag system. 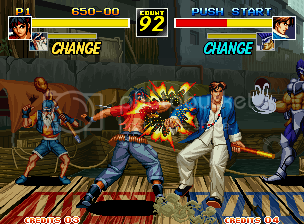 Players have the ability to switch characters in game by pressing a special button while standing in a special zone. 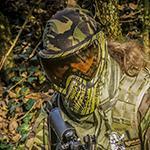 If a player is to lose one character, regardless of their other character's hit point, he or she loses the match. 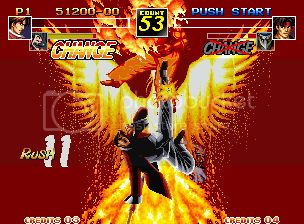 A roll system similar to the one used in The King of Fighters is also present in Kizuna Encounter. 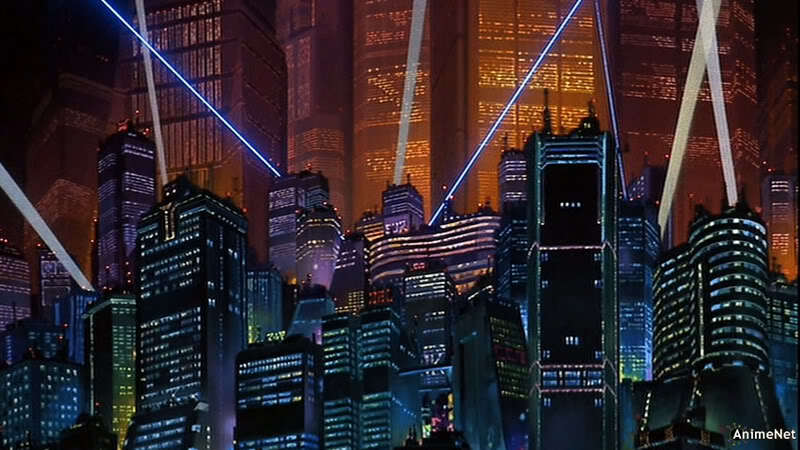 could only have been inspired by the city skyline from "Akira". The characters are pretty eccentric, though thankfully two of the lamest fighters from Savage Reign, Nicola and Carol have been switched out in favor of two new faces: Kim and Rosa. There two are just badass and their serious, all-business look helps to balance out some of the stranger character designs like Joker's (who I can't stand) and Gordon's. The music is average- nothing memorable really, but it gets the job done. 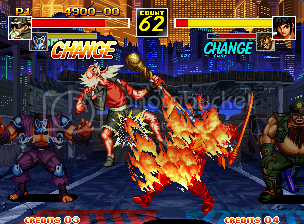 The sound effects and voices are of SNK's typical, high-quality standards. Very fun game, I highly recommend playing it. Haven't picked up it's prequel, Savage Reign yet but I've set my expectations a lot lower for that one and don't see it being likely to measure up to Kizuna Encounter! Kizuna is a great and very fun game to play. The graphics are quite impressive. The music is decent but doesn't really stand out and doesn't have anything memorable. The character designs range from very good (Rosa) to pretty awful (Joker). The thing I love most about this game is that if one of the characters in your team loses, it's over...it really keeps you on edge. But that's also it's biggest problem for me...the matches can be over extremely quickly and it makes this game pretty short if you don't count all the time you spend trying to beat Jyazu (he's not that extremely difficult if you know how to beat him). I highly recommend this game and I'm very glad I bought the AES version on a trip to Japan. My vote was at mediocre ... but, it is actually better than just mediocre I just don't think it's a great game either. This is one that I'd like to own a physical copy of. 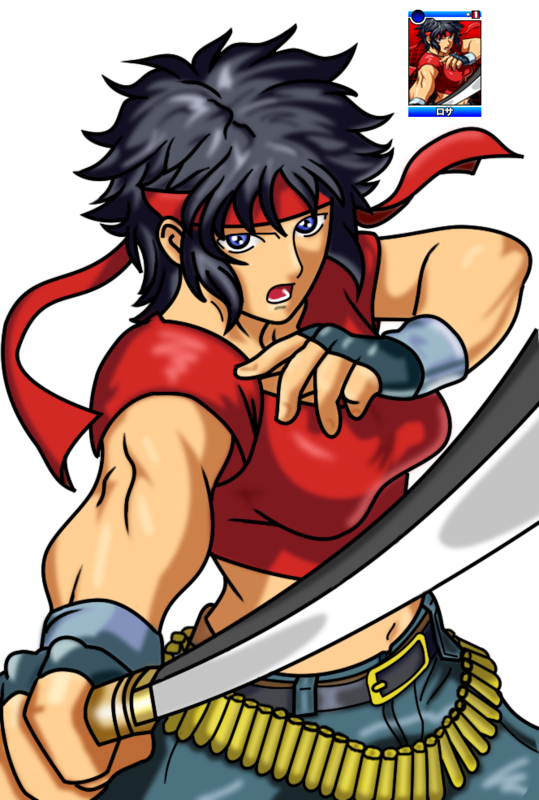 That being said, a couple months back I drew a picture of Rosa for the my card fighter project that was based off of the art on the DS game. I guess I figured this would be a good time to share it. @DarakuTenshi: Excellent work! What medium did you use to draw this? Oh, and Muri, for the 150th GotW, make it special, probably a return of a certain "Legendary Hungry Wolf" perhaps. That being said, a couple months back I drew a picture of Rosa for the my card fighter project that was based off of the art on the DS game. I guess I figured this would be a good time to share it. ^Sweet artwork, chap! Hats off! Concerning the game itself, I voted 'Great' as it aged pretty well over the years. Some character designs are utterly disastrous, agree, but even then Rosa, Kim and Sho save the day. The Savage Reign series may not been as influential or popluar as SNK's other flagships Fatal Fury and King of Fighters, but in any case both Savage Reign and Kizuna Encounter remain two absolutely enjoyable fighting games. 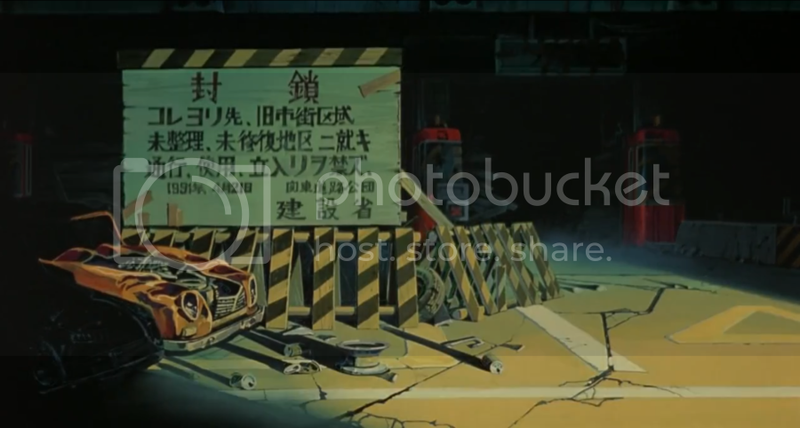 @Murikov: Hey, I never even noticed the Akira road sign likeness in KOF '94. Good catch! 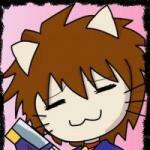 @DarakuTenshi: Hmm. Never used GIMP before but I must say your results are very impressive! Thanks! Yeah, GIMP is a really good piece of software. It can do everything that CS3 can do... they are going to have to play some catch up if they want to do some of the CS4 stuff. Here is another drawing I made. I figured I'd show this to you because many people have told me they thought it was a 3D mock... but it's all done with paint brushes. Wow, that GameBoy looks pretty damn authentic. Nice job! Heh! Yeah with a minor detail missing that was pointed out to me just a couple months ago (and I drew this years ago). Stereo sound is spelled "Stero Sound"
Anyone interested in a HSC for Kizuna? Unless I unwittingly overlooked one, it seems I'm the first to request one for Kizuna Encounter! Who else wants to join the campaign?